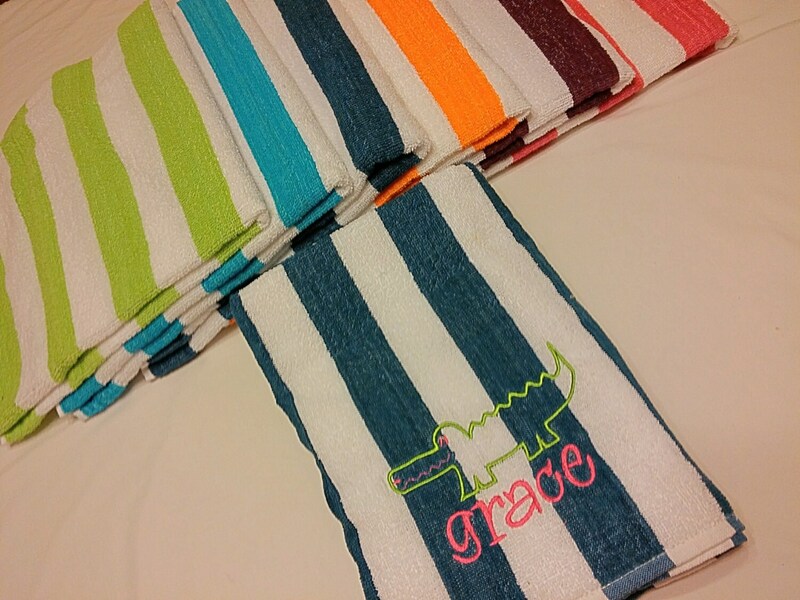 Kids PERSONALIZED BEACH TOWEL ~ Preppy Alligator ~ Vacation / Cruise / Spring Break / Party Favor Swim - Choose Lightweight Terry or Velour! 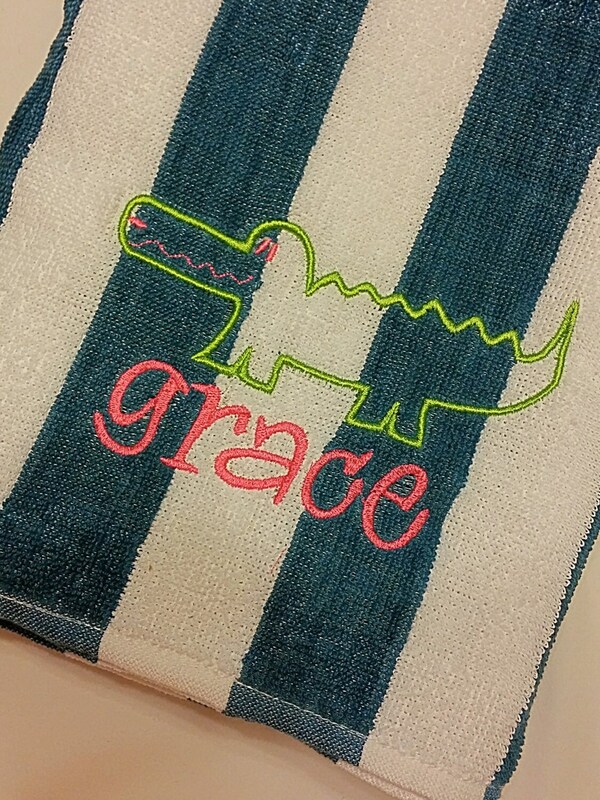 This fun towel features a preppy green alligator with an embroidered name below in hot pink. Sample is in the blue stripe. Default colors for design; green alligator/pink lettering. The best Etsy experience I've had! Such a pleasure to purchase from, and the towels are perfection. Thank you so much!! 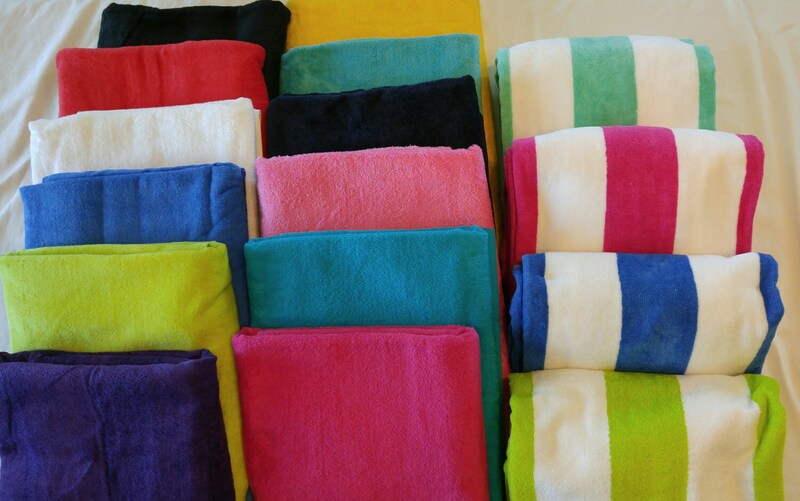 These towels are wonderful! Delightful, colorful and high quality. Thank you Ashley.